Recently I’ve found myself thinking a lot about the dynamic of Co-Creation. We are, after all at that incredible time of year Imbolc, stirrings and spring, fertility. Everything is beginning to stir and that energy to move forward and manifest one’s dreams, goals or passions is once again rising. Ever since shifting out of the corporate career world and finding myself developing a spiritual / healing practice, it has been a constant learning curve of how to develop my own skills, follow a more spiritual way of life, while still meeting the material needs of a physical life. 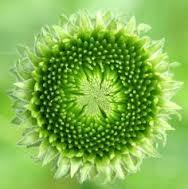 I have found myself having to look closer and closer at the dynamic of what is often termed a “Spiritual Business”. The two terms for many, including myself, hold that diametrically opposed charge. After all being Spiritual broadly means coming from a place of love, giving and altruism; guided by some form higher vibration, consciousness, presence or heart centre; while business means just making money. Whatever you do, however, you do it – you make money. This requires goals, drive, marketing, selling and some kind of persuasion to purchase. Here comes the rub, if you are operating from a truly altruistic place, guided by spirit alone you cannot be driven by predetermined goals or inappropriately persuading people to purchase something that they either do not need or is inappropriate for them just to meet a sales target. Funnily enough this is only a “rub” if you are operating from a place where there is some level of ok-ness about being unethical because it’s just business. Which is probably something we have got so used to in our daily lives, we now assume this is part of business. It does not have to be and frankly if you are operating an ethical business, marketing is much more about communicating well what you are offering in terms of your products or services. You sell to those who actually will benefit from your products or services and seek to source from ethical suppliers. All business have their plans, goals and targets, however, if a market is under producing you look into why, not force them to simply work harder. An honest look into it, may reveal important information about where the business actually needs to be going, either new areas to be developed or old ones that have run their course and need to be dropped for a while. This means that rather than going down the route of hard sell, squeeze out the competitor, you are rather widening the offering to the consumer. When we are working from a place of spiritual guidance or altruism there is always the intension to provide the best regardless of profit. Often if you are listening to this, although sometimes what happens moment to moment might seem to make “poor business sense” it is actually providing the “best customer service possible”. It is coming from a place of really listening to what the “customer is seeking” and being totally honest whether they are going to find it with you or not. This guidance and decision is made from a place that is free from the constraints of goals and profits and to be truly spiritual must remain so. The beauty is that when something is done from a place of joy and love and with expert insight, the product or service is then unique, high quality and ever evolving. 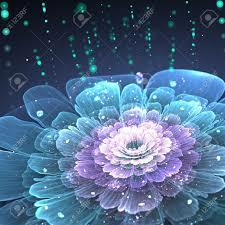 This energy charge obeys or rather echos the principles of laws of attraction and positive creativity. It does though mean working with a certain light of foot and hand, while being always true to high level of intent and integrity not completely tied by formular or routine. Plus what it actually does; rather than business making things “un-spiritual”, it potentially challenges business to operate more ethically. So where does competition fit into all of this? In life we all go through certain training and while we come out with our own take on it, there is still a point where we overlap or work in the same industry or offer similar services or products as another. So often we are taught to compete, to be better than another or take the competition out. In other words engage in a very aggressive approach. This approach has lead to so much damage and under valuing of natural resources and of human lives all in the name of productivity and market share. What if actually this was not what competition was about? What if it was actually about a much more subtle form of betterment and creativity? Geoff Mulgan writes about it in his book “The Locust and the Bee”, where he explores the different dynamics of Capitalism, how it has the potential to create a free creative market rather than an aggressive consuming monster. This also came out during a one day workshop I recently attended about running a Spiritual Business. What’s become clear to me is that it is a choice we all have to face within ourselves as creatives, consumers, and business owners or even employees, do we work from a place of co-creation or aggressive competition? Co-creation takes certain qualities which often makes us feel vulnerable – we have to be, to a certain extent open and honest and from this there is immediately the requirement of a certain level of trust and faith with those that we are working with. It also often leaves us open to criticism, ridicule, and exposure of the very areas we are “not very good at”. Thing is it’s also a very brave place to operate from. The areas “we are not very good at” otherwise lurk in the dark corners, almost haunting us, forcing us to act from a place fear and defense. Surely that is just as painful as risking a certain level of trust and faith in another. Another we can choose whether we open up to or not. Don’t forget those who betray us, it is not about us being naïve, it is rather about their own inability to be trusted that is exposed. The definition of Co-creation is “a management initiative, or form of economic strategy, that brings different parties together (for instance, a company and a group of customers), in order to jointly produce a mutually valued outcome. Co-created value arises in the form of personalized, unique experiences for the customer (value-in-use) and ongoing revenue, learning and enhanced market performance drivers for the firm (loyalty, relationships, customer word of mouth). Value is co-created with customers if and when a customer is able to personalize his or her experience using a firm’s product-service proposition – in the lifetime of its use – to a level that is best suited to get his or her job(s) or tasks done and which allows the firm to derive greater value from its product-service investment in the form of new knowledge, higher revenues/profitability and/or superior brand value/loyalty.” Wikipedia. Just imagine for one moment a world where business operates from a place of integrity, good intention and co-creation? Wow! The Ego-Macho pasturing of the likes of the ‘Trumps’ of this world would be given little space, as they rely on setting one off against the other and therefore would find no place at a table where genuine Sustainable Co-creation was manifesting. So I may grow wise by them. 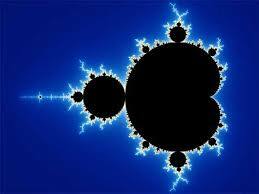 What the Fractal is that about? Summer 2016! What the ‘Fractal’ is that about? 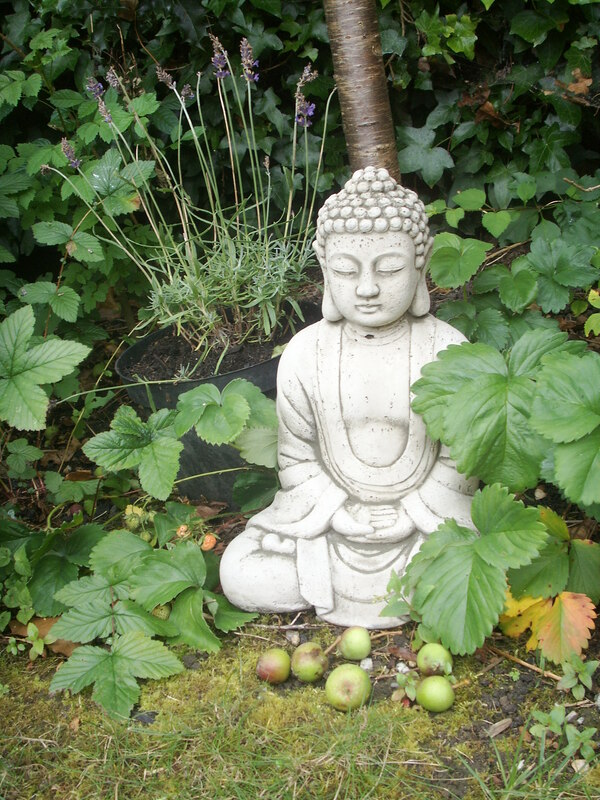 Ok so last Newsletter (May), I wrote about the incredible healing link between plants, land and music, following my own adventures into these subjects and wonderful travels in the Emerald Isle in May. The plant theme continued for me through June with Mugwort and some beautiful Dreamwork and I had said I’d share some of this in the subsequent Newsletter. However, sadly this process for me, got somewhat brutally interrupted by external events in the UK, hence I’ve decided to postpone writing about the wonders of Mugwort and the Dream work just for now. 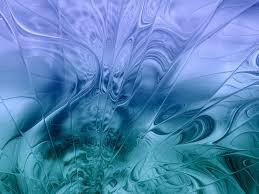 As always there are always other themes that come to the fore and for me this has been one of Water and Fractals. The link between this, mid-summer and wellbeing might seem slightly strange but there is one, promise! Firstly on Midsummer Day I had the great joy of undertaking a Solstice “Medicine Walk” with a dear friend in some local and ancient woods. As some of you might remember it was a particularly wet Summer Solstice. However, this did not stop us and the rain in the woods actually felt fresh, clean, nor were the woods water logged. Far from it, their greens were vibrant and almost palpable in their celebration of the water as much as the Solar apex. This felt totally in tune with the rather unusual Summer Solstice which combined the full solar apex with the full moon(this combination only occurs once in around 70 years or so). The warmth and rains felt like a totally balanced mirror of this day celebrating in many ways the fullness of solar / male and the lunar / feminine aspects. So at the height of this fast flowing, busy Monkey Year; the heat of the Summer Solstice was softened and balanced with the full moon and refreshing summer rain on that day. Since Summer Solstice there has been a lot written about how this is another very transformative period and actually, unlike the last few years which seemed to be much more about internal changes, this one seems to be perhaps far more tangible changes ones which show up far more in the physical and in the open. These times can be very healing, cathartic but also a little scary. It’s easy to say don’t be fearful, but when things get rocked to the core on a personal level, this statement can sound quite frankly, crass. 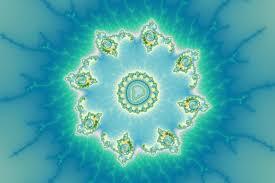 Recently I was reminded, during a healing session oddly enough of Fractals. For me these were simply beautiful patterns that appear in nature and then computer generated art – they made great posters during my student days and the early days of the ‘Techno Dance’ movement. (I’m sure some of you will remember these of the early 1990’s!) Beyond this personally, I hadn’t given them much if any thought since those heady days. Given the recent themes of water patterning, song-lines, plant consciousness, my interest was spiked so I decided to have another little look at what actually are Fractals? Well I have to confess clearly as I’m not a mathematic genius my explanation is likely to be rather ley, however, I turned up a few interesting facts about these curious wonders……. Well since their discovery in 1975, it’s given birth to a whole new understanding of form, chaos, markets, science, design and even music. So my question and reason for writing about it is – In this time of apparent ‘chaos’ or ‘transformation’, how can fractals help one now? Well they are being used in modern medicine and for the more etheric and easy access medicine of Fractals, here is a lovely summary and insight into their healing uses……… ………….www.fraktalneenergije.com/en/energy.html. It is purely through their shape, vibration, colours and energy that they can have profound effect on a space, a person’s well-being and energy levels. It is almost as thought, while describing the ‘chaos’ or ‘randomness’, they bring a rhythm and a sense of calm or order to it. So no wonder, they made their presence known during a recent healing session. Mindfulness – what is all this fuss about? It’s been really interesting watching the explosion of Mindfulness over the last few years, I don’t know about Mindfulness it’s been almost mind dazzling! it’s gone from the book on the self-help bookshelf and week-end workshop, to the workplace, the school, even into mainstream health care including the NHS and Parliament. “ The word “mindfulness” seems to be everywhere. Parliament has even started using it. But what is it? To many people, mindfulness just means “the state or quality of being mindful”. That’s the first definition the Oxford English Dictionary lists. But the second meaning of the word, taken from Buddhist philosophies, is proliferating rapidly. Search Amazon’s book section and you’ll see many titles about mindfulness and how to get it. A quick search of a database of British newspapers shows that in April 2004 it was mentioned just twice. In April this year, the figure was 150. This other definition of mindfulness is “with reference to yoga philosophy and Buddhism: the meditative state of being both fully aware of the moment and of being self-conscious of and attentive to this awareness; a state of intense concentration on one’s own thought processes; self-awareness”. I first came across Mindfulness in my teenage years through some simple Yoga introductory practice, but honestly didn’t know it as such back then. I then came across it through some basic “Learn how to meditate” classes in the 1990’s when I was living in Cambridge and then explored it more deeply as part of my Shamanic Training, which to be fair was based a lot on the Toaist philosophies and traditions. I have to say at this point just to be clear, I have always remained rather on the Spiritual as opposed to the Religious path. For further clarity it is important to also note that Mindfulness as it is generally written about and taught in the west for use in the workplace, schools and health system is totally stripped of any religious biased and is totally about simply centring the mind and body to relieve stress and to become present in the moment. More recently I’ve found myself giving short talks and exercises as part of evening workshops or groups. For me it is the heart and the tip of the iceberg of meditation. It is the place of being and learning to be present. It is the place to let go, to stop, to ground, to be and to centre. In our seemingly frenetic modern lifestyles it is becoming more and more essential to embrace this practice. I was shown to me by life and frankly quite brutally, that when we are not centred, when we don’t stop, when we aren’t present or cannot just be, we cannot then do, discern, choose, stand firm or act. It is one of these amazing dynamics of life that if we are not still at times then our movement becomes unbalanced. It is in many ways our night to our day, our inner to our outer. For some reason this stillness and this being and this inner work has been something that has if not actively then certainly steadily been discouraged from our western societies for a long-time. Too much focus placed on the outer world and its appearances, our outward achievements and standing. This imbalance in many ways has caused a lot of stress, destruction and misuse of resources and in some cases caused illness. So perhaps it’s not so surprising that now the balance has to be restored and this simple, not to be confused with easy, practice of Mindfulness is becoming so popular. As with everything that becomes popular or a household term there are always those for whom it does not work or has caused difficulties, this is natural as we are all unique. There have been accounts about how Mindfulness where it has been apparently detrimental or has actually caused people to become unstable in someway. There have been reports were people have found they have begun to feel too zoned out, suffered panic attacks, depression or traumatic memories from their childhood return following a Mindfulness course or session. Speaking from personal experience, it is true that these practices open us up to ourselves and sometimes the effects can be traumatic and life changing. It is essential that if this happens, the process is held and what is coming up is embraced and understood rather than run from or shut down. It is importantly to understand that it is not necessarily the meditation itself that is at fault but it is actually simply allowing space for what was already stored within us to surface. If it hadn’t come out in this way, then it would surely come out in some other way in that person’s life. In many ways by having these issues, whatever they are come to the surface in this way it is an opportunity for the person to fully face them and move beyond them. Firstly ground – feel your body, feel your breath, be very present about where you are. Perhaps eat something nutritious, go for a walk in nature, even if this is just a pocket park or tree lined boulevard for the city dwellers among us. If you are likely to feel spaced out when meditating, only do it for a short while a day. 10 mins a day rather than leaping into an intensive workshop or week-ender. In many ways this is about you growing your internal muscles, just like going down to the gym, you don’t do a 10 miler on the first day! Keep well hydrated. De-hydration can make us feel spaced out and when we are stressed we don’t always realise how de-hydrated we are. Simplify your life. Start to live and think more simply. If you wish to keep up a meditation practice, up your vitamin, mineral and nutrition intake, if you are taking in rubbish, when you stop and listen to yourself inside you are likely to find rubbish! What-ever has surfaced needs facing and transmuting. Depending on what’s coming up for you, it might be time to get some counselling, and learn some techniques on how to face and transmute and let go of those bad feelings or memories. You might find a physical meditation practice is better for you – tai chi, qigong, yoga or even simple activities like gardening, walking or cycling. Or a creative one; drawing, writing, or cooking. Or if it’s anger or confidence issues try a martial art class, to focus and transmute the energy into a punch bag rather than into a person or your life! You can be Mindful in how you do all or any of these activities. Mindfulness is all about being present, centred and in the body. If any of us is struggling with that, it is because there is something getting in the way, that something needs to be understood and then it can be let go of or addressed. We can shift from habitual reacting to pro-active living. “Breathing in I establish myself in the present moment. Breathing out I know that this is a wonderful moment”. Thich Nhat Hanh. Thich Nhat Hanh, writes beautifully about the power of the present moment, for this is all we truly have at any one time, in his book “The Power of Now”. Above all, be gentle and kind with yourself, but don’t run and hide. Be honest and be courageous, this is about you getting to know you, to centre in being you and can help you let go of the internal “rubbish”, so you can be a clearer and brighter you! What does Achieving Goals, Manifesting Dreams and Sycamore Trees have in common? Last year it seemed at the end of summer, there were masses and masses of acorns as if the oak trees had gone into extra production in light of the tree diseases which had been particularly virulent. As anyone knows who works with or is an observer of nature, she adapts and shifts every year to retain balance, often resulting in certain plants, fruits or species having a particularly abundant year or a particularly sparse year. This year, locally at least, we have been swamped with Sycamore seeds – they are everywhere! Some days the car has been so covered in them we’ve actually had to brush them off the windows before driving. So perhaps the Sycamore is telling us that 2014 is a great year to dream that dream, plant those desires and help you reach your goal. Below is a Sycamore Meditation to help you with that process. Sit comfortably, turn off the phone, tv, pc, ipod, ipad, tablet etc….. go somewhere where you can be comfortable and relaxed for a good 15 – 30 minutes. Perhaps light a candle, put on some soft music, burn some oil or incense what ever makes you feel most comfortable, safe and relaxed, making sure your back is well supported and feet with on the floor or sit cross-legged on the floor. Breathing deeply, take some cleansing breaths – always breathing in through the nose and out through the mouth. Focus on your breath, easing out aches, pains, stresses, stiffness from you body and letting any thoughts go, just enjoying this space and time to listen to your breathing and your inner self. When you are ready, visualise walking along a country path that brings you to a clearing and a large sycamore tree. Allow yourself to enjoy this tree, taking in it’s branches and leaves, the bark and trunk. When you are ready feel yourself sit down beneath it. 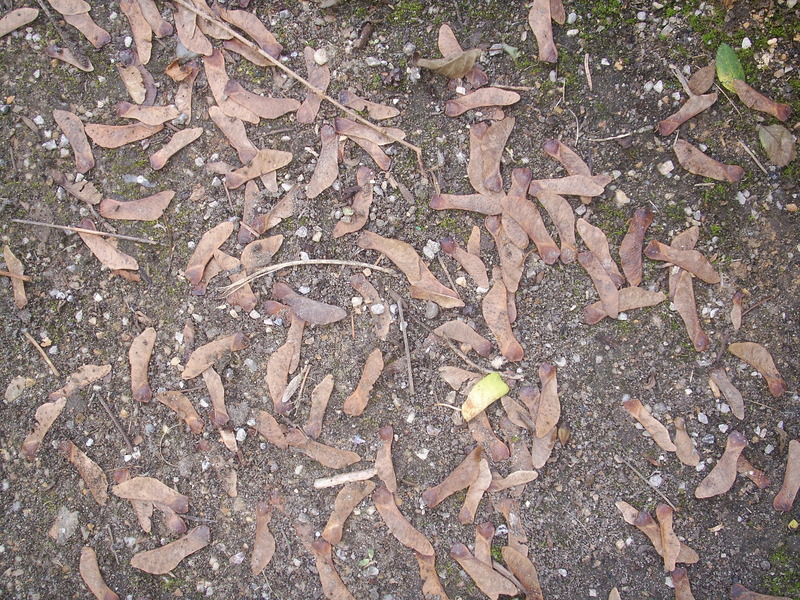 In front of where you have sat is a leaf and some sycamore seeds. Take a moment to study the leaf with it’s 3 prominent points, how this echoes – the 3 – mind, body and spirit. Take a moment to feel into your body giving thanks for all it does for you each day, take a moment to quiet the mind and enjoy that space, take a moment to center in your heart and let it speak. Let your heart speak of what you need to let go of and let it speak of what makes it sing with loving joy. As these become clear to you become aware of the leaves on the tree turning brown and falling to the ground and as they fall and blow away and rot, turn to compost disintegrate and be transmuted by the earth. Let the things you need to let go of or the hurts that have held you back go with each leaf to die off, to be transmuted by the earth. Let your heart speak of your joys and desires and now allow each of these to take the shape of a sycamore seed, allow the wind to blow these seeds far and wide to fall on fertile ground. 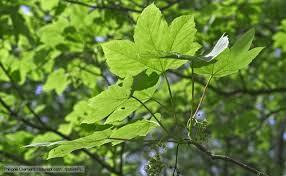 The sycamore seed is shaped so that it is easily picked up by the breeze and blown far and wide. Observe the twisting and spinning of the seeds as they are released by the wind, carrying with them your desires to be planted and to take root in fertile ground. You can revisit these seeds again and see how they are taking root and growing at a later date, to reconnect with growing your dreams. When you are sure you have released what needed to be released for now and asked for your dreams to be carried by the seeds for planting, rise up from under the tree, return along the country path becoming aware of your breathing and your body. Gently move your feet, hands, shoulders, ground or seat beneath you, be aware of the space you are in and open your eyes. Don’t forget, sycamores have deep roots, they can grow to 65 feet tall if its a London Plane Tree variety of 100 feet tall it’s the one of the ones in US. They can live up to 200 years old. So just imagine how high and how far your dreams might travel! The sycamore is also one of Biblical trees famous at the tree Zaccheus the tax collector climbed up to see Jesus preach when he came to Jericho. Zaccheus was a short man so climbed a sycamore to be able to see above the crowds. See link below if you would like to know more about that particular repentant tax collector! Are you Joining the Party or Procrastinating? As summer is upon us and after what has felt like a very steep and fast run through the spring and into the early summer, I am well ready for the natural flow, of sitting and observing the harvest ripen off as the full crescendo of summer softens. Summer holidays are of course a great opportunity to do just this. Personally for me it will be time to take a moment to pause within and reconnect with what is going to take me forward and through the Autumn and Winter. To release anything that has not worked out so well, or to change my approach to some things, so that energy can flow more easily for me. This is with the intention that through the dark winter months there is a continued sense of nurturing, building energy to facilitate whatever needs to be done or spring forth year. 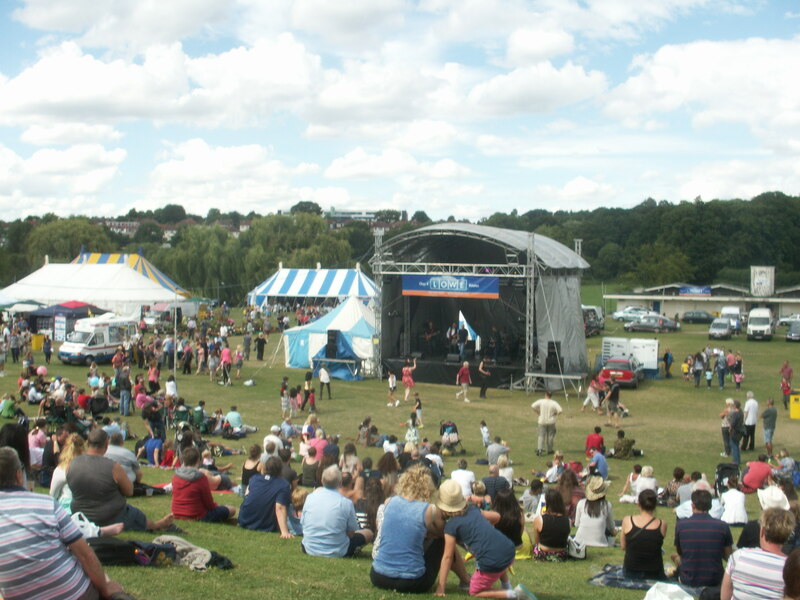 Of course for others summer is the time to really get out there and be seen and be heard, to join in the “Summer Party”! That’s great if you want to be there, but what if there is something holding you back from joining “the Summer Party”? Recently just as I was pondering this dynamic of summer, I noticed tiny apples on our lawn (basically our neighbours had, had some necessary work done in their garden, but it had resulted in shaking some of the apples off a very large old apple tree, too soon in the growing season). Interestingly, this coincided with some conversations I had recently been having with a number of people around the subject of recognising when we are procrastinating and if we should just push on forwards. What these tiny apples got me to think about was that perhaps there is another dynamic to this subject which gets over looked in our “ever forward pushing” world and that is; what if, sometimes “The Apple” is simply not fully formed yet? Generally we currently seem to live in a competitive society, where bigger, faster, newer, flashier, louder gets the market, gets sold, gets the dosh, gets the kudos. Therefore we are pushed in our various ways to do just that – to deliver! To achieve. To succeed. Over the last few months I’ve found myself at a number of events or gatherings where the topic of procrastination was discussed. Apparently it’s not just about addressing our fears of doing something but it is also about us over coming our tendencies to procrastination. True – we do have to face our fears, and let them go, that’s called personal growth and procrastination can be another very subtle way of concealing our underlying fears. Or, perhaps, what these tiny apples seemed to be getting me to question is; is procrastination actually a way or process in which we are actually facing our fears, so as to come to terms with them and finally release them. 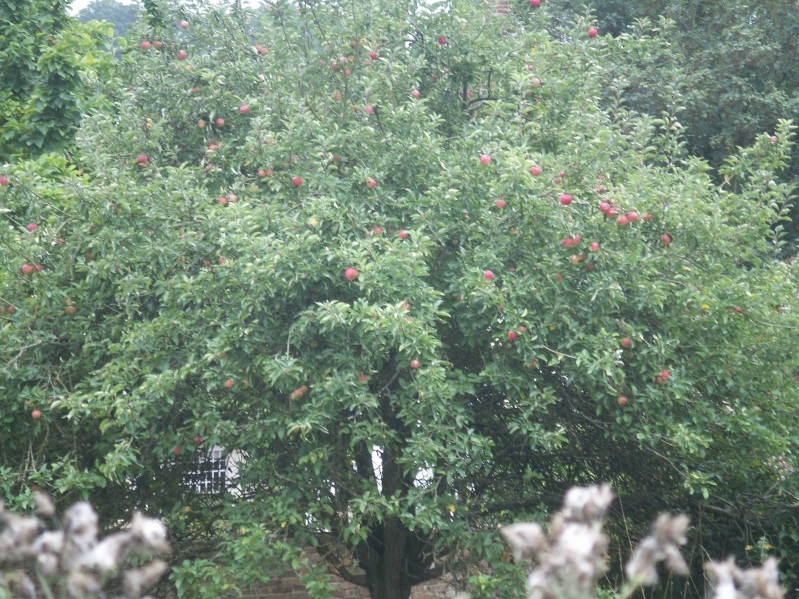 What if procrastination is actually, for many, the time “The Apple” needs on the branch to grow? So if you find you are deemed to be “procrastinating”; of course the obvious question to ask is “Why?”. “Why am I delaying a, b, or c?”. Treat the answers with kindness and compassion and watch them melt away, until you are left with the ones that are justified to still stand in the way. If they are there for sound and good reasons, don’t give up, just listen to the lessons within the answers. Be assured this is simply about letting your “Apple” grow on the branch. As, with some understanding, in time these too will melt away. After all if fruit are shaken or are picked too soon, you’ll never get to enjoy the full fruitiness of the fruit, be assured it will let you know when it is ready. If you doubt this, just remember our friend, Sir Isaac Newton.